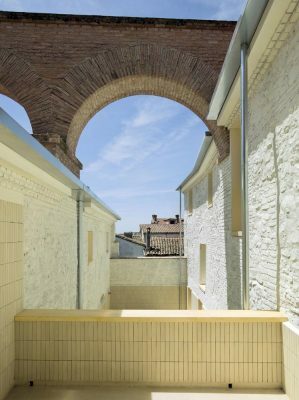 First prize in the 2016 Tile of Spain Awards Architecture category has been awarded to two Oropesa homes which utilised ceramic tiles with outstanding precision to give these heritage properties a unique appearance. 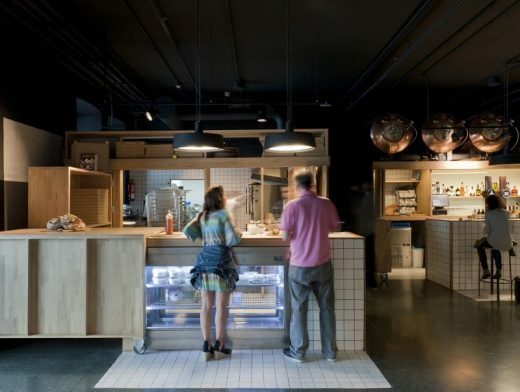 First prize in the Interior Design category has been achieved by the TABA Espazioa gastro space where the floors and bars have been innovatively covered with tiles in the style of rugs. The panel of judges comprised: Gonçalo Byrne (Chair), Elisa Valero, Iñaqui Carnicero, Nuno Brandão Costa, Ricardo Sánchez Lampreave, José M. Milá and Ramón Monfort. 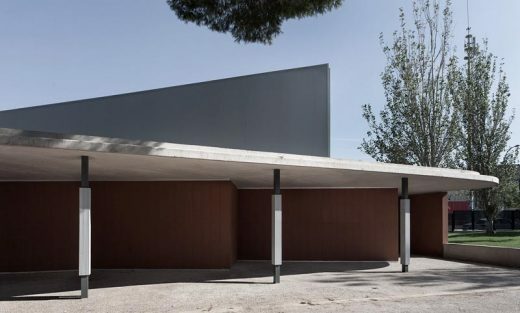 The judges for the Tile of Spain Awards for Architecture and Interior Design, chaired by architect Gonçalo Byrne, have chosen “Two homes in Oropesa” (Toledo) by Paredes Pedrosa Arquitectos to receive top honours in the prestigious Architecture category. Embedded in a historical structure, created to link Oropesa’s castle and its church, a pair of small asymmetrical houses were fragmented and in ruins. 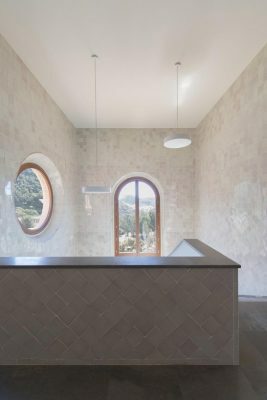 As part of an extensive renovation by Paredes Pedrosa Arquitectos, ceramic tiles are used not merely as a finish, but as a way of enveloping the project and making sense of its divisions. 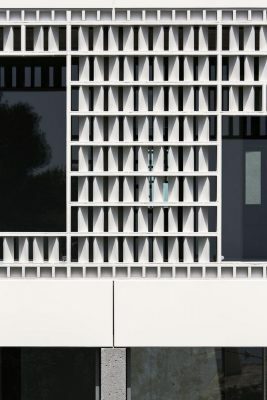 The panel of judges highlighted the outstanding precision of an architectural intervention within a complex historical context and a use of ceramic tiles that was fully fit for purpose. 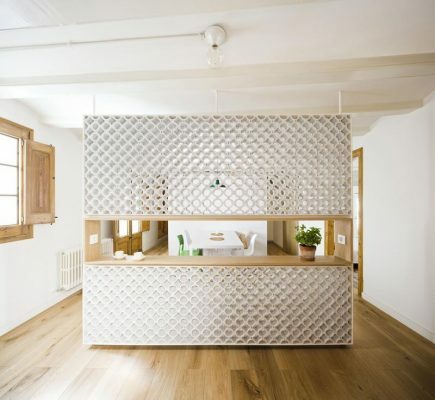 A special mention went to “MM House” (Palma de Mallorca) by OhLab (Paloma Hernaiz, Jaime Oliver, Rebeca Lavin, Walter Brandt and Sergio Rivero de Cáceres). 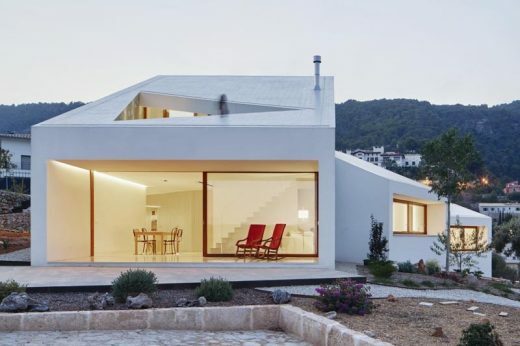 Designed in accordance with the Passivhaus standard in order to guarantee optimum energy efficiency, this home features a sloping roof of white ceramic tiles by Cas Cerámicas. In addition to the aesthetic considerations, the tiles were chosen for ease of maintenance and effective re-use of rainwater. The judges voiced their appreciation of sustainable architecture free from visible displays of technology. The panel of judges awarded first prize in the Interior Design category to the “TABA Espazioa” (San Sebastian) by Ibon Salaberria for ‘the balanced dialogue created between the materials that showcased the use of ceramic tiles in a contemporary space’. 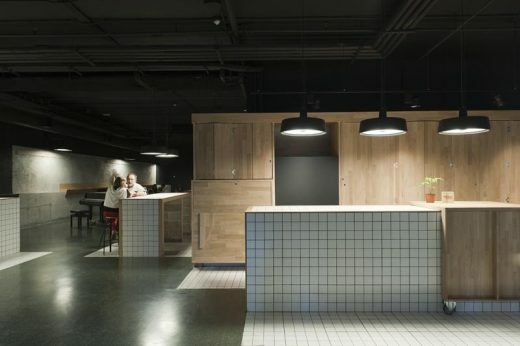 In the ground floor of the new Tabakalera Culture Centre, located in a former Tobacco factory, this 430-square-metre gastro space features a coffee shop, pizza restaurant and wine bar. 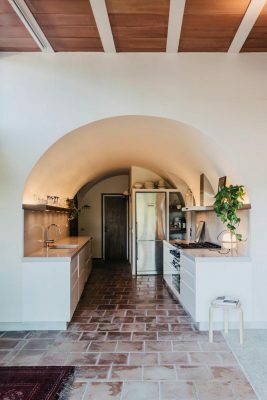 The floor and bars have been covered with 10x10cm ceramic tiles by Dune Cerámica in the style of rugs that help to highlight the various concessions. Each of the serving counters can be used as communal tables when not in use for the sale of goods. 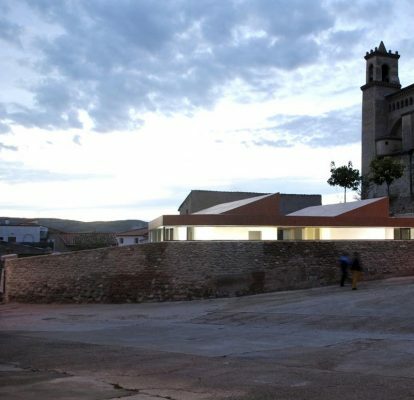 The panel also decided to give a special mention to the “Casa #77” (Pamplona) by Raúl Montero Martínez and Emilio Pardo Rivacoba for ‘the radical nature of a space enveloped in ceramic tiles’. 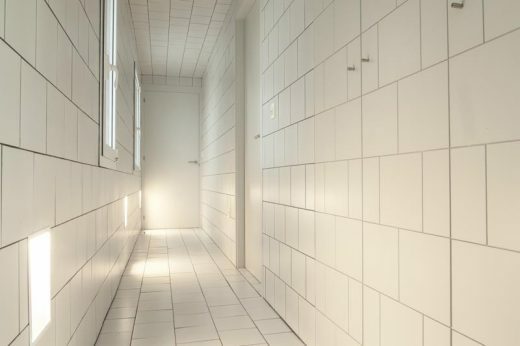 In this innovative project, a loft apartment measuring just 51 square metres was dramatically transformed with tiles by Keramex. First prize in the Degree Project category went to “In-Situ: Tools and Technology in Traditional Architecture” by M Wesam Al Asali, a student at the University of Cambridge, for ‘using a single ceramic to create a construction system in keeping with its function and location’. A Special Mention was given to ‘Como agua de mayo’ by Belén Collado González, a student at the San Pablo CEU University in Madrid. The judges stressed the plasticity and sensitivity of the use the material was put to. 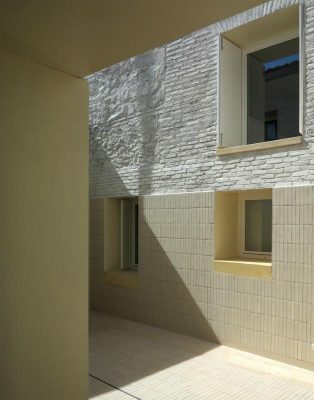 Refurbishment of house in Ataülf Street by Eugeni and Anna Bach. Photograph: Eugeni Bach. The Tile of Spain Awards celebrate the creative and innovative use of Spanish ceramics in interior design and architecture. 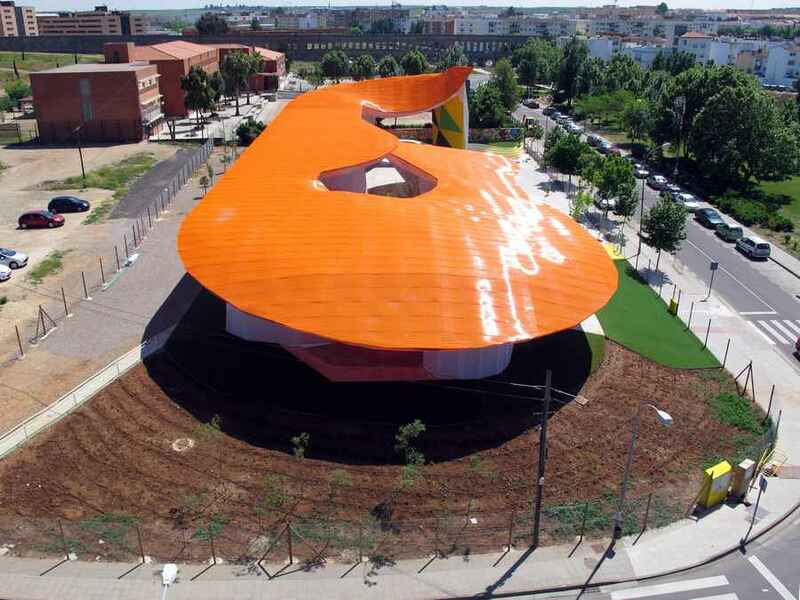 Now in their fifteenth year, the Tile of Spain Awards have earned significant recognition within the architecture community. 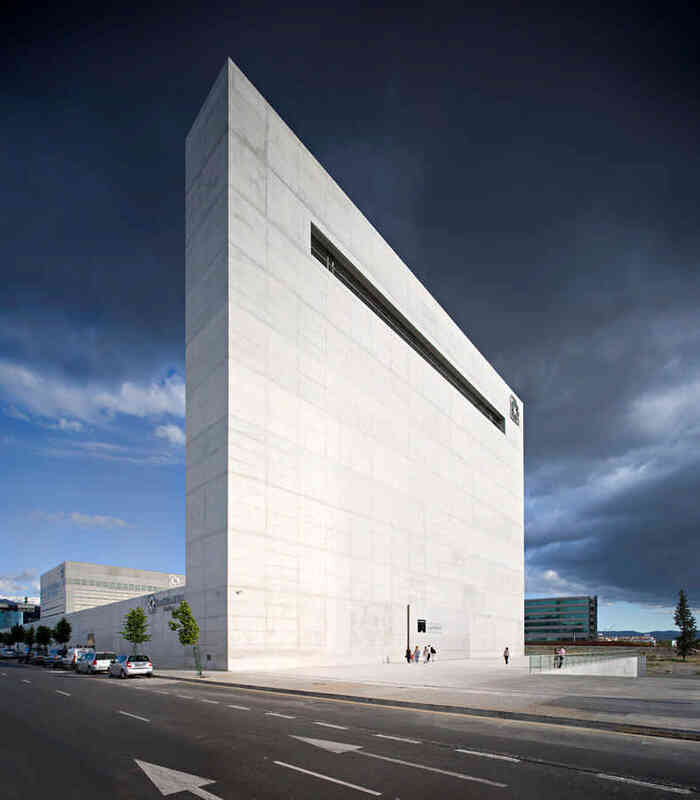 Both the quality of the judging panels and the standard of the winning projects have established these awards, organised by ASCER, as a notable reference both in Spain and internationally. 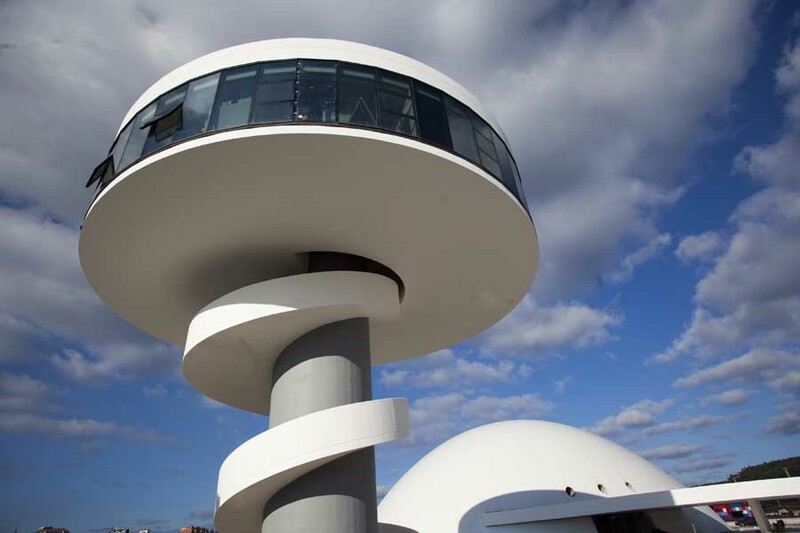 Architecture and Interior Design make up the two main categories in the Tile of Spain Awards, each with cash prizes worth €17,000. There is also a Final Degree Project category targeting students of architecture with a prize of €5,000.